OrganiCup Reusable Menstrual Cup Giveaway ~ 10 Winners! Today I’m going to share an idea with you that is growing like crazy as we all strive to become healthier, more economical, and green – Reusable Menstrual Cups. OrganiCup has worked hard to bring you the very best on the market. Let me tell you about them. Did you know that more than a quarter of fluids absorbed by tampons are natural and necessary vaginal secretions? The OrganiCup collects the flow with it’s medical grade silicone. It also has never been associated with Toxic Shock Syndrome like the fear you get when inserting a tampon. The best part I think is not having to put your monthly supplies in your shopping cart anymore! I hated that expense. 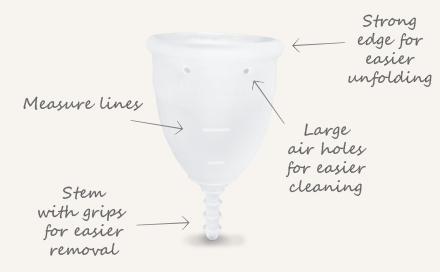 The OrganiCup can hold more than 3x what a large tampon does and is just as easy to insert. You can keep it in for up to 12 hours depending on flow! Yes sleep, sports, just forget about it! If a lifetime of tampons were stacked together the height would be 5 Eiffel Towers! What would disposable pads be? I don’t think I even want to think about it! What I love about the OrganicCup. It really is flexible and easy to insert. It may take a few tries until you get it just right, but you’ll quickly become a pro. I think the most difficult part sometimes to Cups is getting them out. Love the long(er) stem on this one with groove grips. It also has those air holes to help with cleaning and suction. I think you will really love it too! OrganiCup is an international brand and ships free all over the world. Their website is done awesomely, and quickly and easily gives you the info you need because I know you have a lot of questions! WIN the OrganiCup ~ 10 Winners! I’ve partnered with OrganiCup for this review and all opinions are my own.The giveaway will end on April 25, 2014 at midnight EST. Winners will be drawn via rafflecopter. Once a winner is drawn I will contact them and they will have 48 hours to reply before I draw a new winner. Giveaway is open to anyone WW and you must be 18 years of age or older. Giveaway not affiliated with Facebook & I release them of liability. Winner will be posted in the rafflecopter widget. I have used a similar cup. It is life-changing - I love it! I haven't used a cup, yet, but really want to make the switch! I haven't used a menstral cup before, and I am really curious to try one! It seems like a great idea, and I hope it goes mainstream! I haven't heard of this brand but I have a few cups. I want to try out different shapes and sizes. I had never tried this or similar products before, but I love that it's a green product. I am trying to use more natural products in my daily life. Thanks for the chance. I haven't used a product like this, but I would have, had the opportunity been there. I'd love to get at least one of my daughters using one of these products! I am so pro menstrual cup that I have lost any abashed constraints. :) I used it right before I had menopause. It is so superior to what most women use in that market. I want to win for my daughter in law. Thanks. I have used a similar product in the past, but certainly would be interested in trying another. This one sounds just as great! I have not used similar products in the past, so I would love to try the OrganiCup out! I have never used anything like it, I am intrigued. I currently use a Lunette Cup. I would like to compare them. I am a menstrual cup user!! I love mine but would love to try another brand! I've found one that doesn't work but this one looks like it would - I love that it's wider at the top and not as long and slim like some of the others! I've used something similar before, but I'd never heard of OrganiCup until now. I have always been interested in trying one of these. I just don't want to spend the money as I think it won't work and I would just have a mess on my hands! I would love to try this brand, thanks. I haven't used a me trial cup before, but have seriously been looking into it. It just seems to be the next logical step since I have eliminated a good amount of other disposable products we use. Have you used the Diva? If so, how do the size of the suction holes compare to this brand? I have never tried it before but I have always wanted one! I have never used a cup before, but I am curious to try one. I do like the cost factor. I'm interested in greener options for that time of the month, and have tried the softcup before investing in something reusable. I'd love to give this a try! No, I've never used a menstrual cup, but I want one for when I get my period back after pregnancy! I have not tried a product like this before but I'd like to have one to use. 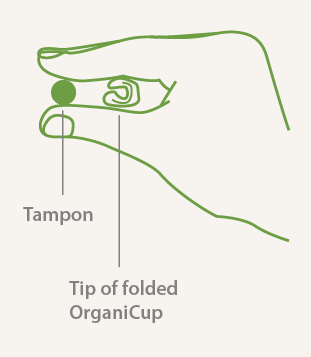 I have used menstrual cups before, but I had never heard of OrganiCup until I read this blog post. I'd love to give them a try! I use cloth pads but I have yet to try any sort of menstrual cup. I have used a divacup, but I heard not all brands are the same so I would like to try others. Yes , I have tried a similar product. I have always wanted to try similar products. Im too sensitive down there for tampons and I hate using pads, this would be a blessing thank you for the chacne. My daughter has been using one of these for a few years, and she loves it! I haven't used anything like this before but I've been dying to try it! What a great idea! Never would have thought to want to try! Don't have one but again willing to try! I've never used a product like this but am willing to give it a try!!! I haven't used anything like this but I really would love to try it! It seems so easy and way better than using tampons and pads. I've never used one before but I'd love to give it a try. I have been looking into these for awhile, I think I am ready to take the plunge. I sde no reason why to make so much waste and to spend so much every month for pads and tampons. This is a much better choice for many reasons! I have never used a cup but I've been toying with the idea lately as it would be a huge money saver and hopefully less of a pain to deal with. These are a brand I've never heard of. I've used the diva which is sorta stiff makes me sore. I've never used a menstrual cup before, but I am totally down to try it, especially in the name of science. I just bought a diva cup but I am always interested in trying other ones too. 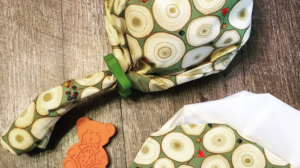 I havent had the chance to try a cup yet but i love my mama cloth! 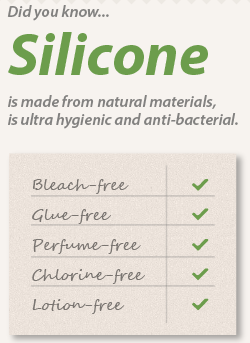 I've used the Instead Cup and like that well enough, but would love to try a non-disposable one! I haven't but I am interested! I use a Diva Cup. I would love to try the OrganiCup though! I have used softcup in the past and really liked it. I have never used organicup but would be grateful to try it. Thank you for the giveaway. I have not used a reusable cup but I've been wanting to for a long time. I haven't tried a cup yet, but the more I hear about them the mor I want to give them a try. No I just have to wait for my cycle to return. I currently use the Lunette cup and have tried to MiaCup but have found the Lunette only works some of the time depending on the month. Would love to try another brand! I have tried before. I would love to win this for a friend! I tried a different cup and I can't get it to not leak. I've heard that maybe other brands would be different so I would love to try this one! I have not ever tried a product like this. But I would like to! I haven't gotten up the courage to try one yet. I know some of my fellow backpackers use it and they love it. I'd like to try this cup. I've used the diva cup and love it. I have feared these things for awhile... but as a person whom wants to lessen their environmental impact as much as possible, I think it's time I give it a go! 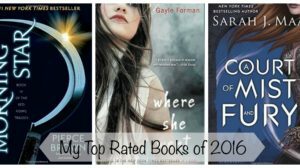 Great review & I really hope I win! I've used the divacup and the lunette cup. I Would love to see how the fit of this compares! I actually use the Keeper right now, but I'm interested in trying a silicone cup. I've never used a product like this before. I've wanted to use a product like this for a long time. I used to read the Diva cup box when I worked in a drugstore--I just haven't taken the leap yet! I have no used one before, but I want to try one out. I came across your blog looking for information on menstrual cups, and saw the giveaway, never tried a product like this before, but that's why I was researching it cause im very interested, glad I found this post. I have the diva cup but I'd love to try this cup and see if it's a better fit. I have tried a diva cup before so i am very familiar with all it's great benefits this has to offer. I haven't tried a product like this but I've been wanting to. I HAVE used a product similar to this. I am not sure why I stopped (probably due to the fact they are hard to find). I would love to win this. I currently use a MeLuna cup :) It would be nice to try the organicup! I have used both the Keeper and the Diva cup! I never have but I'm interested in giving it a try! I am so excited to try this out! I've used another company but I am ready to try something else. Congratulations to the winners!! I am so jealous!